Now we’re getting into the nitty gritty of Pinterest. This week’s Paleo Pinterest finds were a bit disappointing. Now I’m only going to say this once. DO NOT repeat all the recipes you see on Food Lover’s Fridays you truly wish to live dangerously. I’m taking the risk for your food growth and entertainment. Or at least–that’s how I see it 😉 We’ll start at the bottom. Ktams and I are huge pizza whores. Literally every chance we get to have or make pizza (from scratch folks, come on!) we do it. It’s just too good not to. 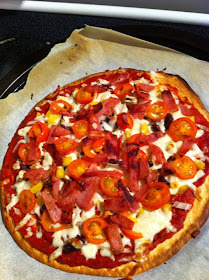 So when I found this “Paleo Pizza Crust” recipe, I jumped at the chance to both follow the diet and eat some good pizza. Ktams will be the first to tell you that I am extremely picky when it comes to my crusts, and that is where this recipe failed miserably. The crust was a coconut flour base (which I’ve used in the past for other recipes with success), mixed with eggs and coconut milk. It turned out extremely soft for pizza crust and that was after at least 30 minutes in the oven and being flipped before adding toppings. The crust soaked up all of the juices of the tomato sauce (which was no sugar added tomato sauce) and still crumbled apart when you picked up your slice to eat. I ended up eating only the toppings of my pizza I was so dissatisfied. Ktams was a trooper and ate his whole serving, only to have a sick stomach the next morning. This is where I realize that not all recipes you find on Pinterest are going to be delicious, OMG-must-repin-fifty-times-right-now successful. In the beginning, I thought this recipe had potential. It’s basically ground beef, almond flour (to sub the bread or breadcrumbs), various spice powders, and chilis in adobo. Now if you know me for 5 minutes, you know that one of my and Ktams favorite flavors is the smokey spicy goodness that is chilis in adobo. I think that, and OUR homemade guac recipe were saviors to this recipe. You may think differently–and that’s cool. Ahhh but I feel a recipe coming on! 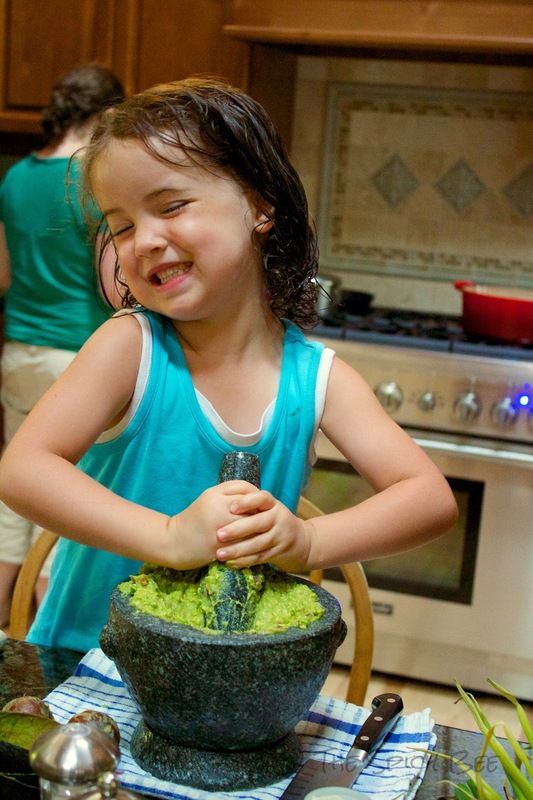 Open and scoop avocado into medium bowl or festive molcajete (seen below)–mash your avocado up a bit, and then add in the rest of your ingredients and mix together to your liked consistency (some like it chunky, others like it smooth). In my case, delegate grunt work to adorable, enthusiastic niece! Does it look warm in this picture? That’s because it was! I took this picture last summer after an afternoon swim with my sister-in-law and her two kiddos. After swimming we went back to my in-laws for dinner! Yum! I’m going to miss my afternoon swims this summer! This recipe is very flexible and delicious–for kids we usually mix everything but the jalapeno and distribute some out to them first, then add in the spice! Mackenzie (my niece) likes it hot 🙂 a little girl after my heart! For my attempts at the recipes above, check out my Instagram reel in the right column of the blog. I mean really, who isn’t a pizza whore? 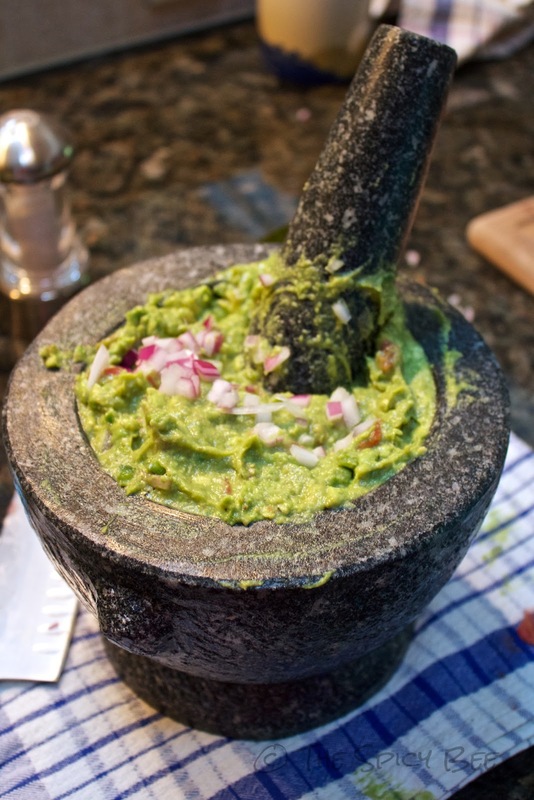 Digging the guac recipe! And that’s one awesome molcajete. Have you guys tried cauliflower crust pizza? I first started making it after going GF but its paleo, assuming you are eating cheese ;). It’s really yum! I love guacamole, serving it with meatballs seems a little weird though. the guacamole looks the best! yum. see you tomorrow!